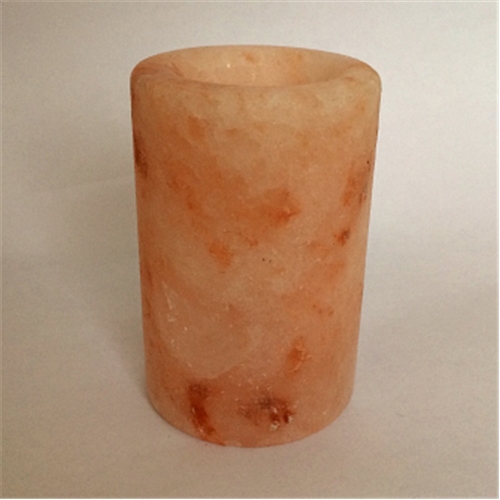 Beautiful rose-colored Himalayan Pink salt shot glasses are a fun addition to your cocktail bar. Use them with Tequila and a lime wedge and the natural salt flavor will come through on each sip. The glasses are cut in the perfect shape of a shot glass. Hand-cut glasses vary in color and size from approximately 2 1/2 to 3" in height. After each use, simply rinse the glasses in cool water. This removes a thin layer of salt from the glass. Pat dry with a paper towel and place on a rack to dry completely. No detergent is necessary as the salt has inherent anti-microbial properties, making your glass safe to use over and over. Handle your glass with care, as it will break if dropped.